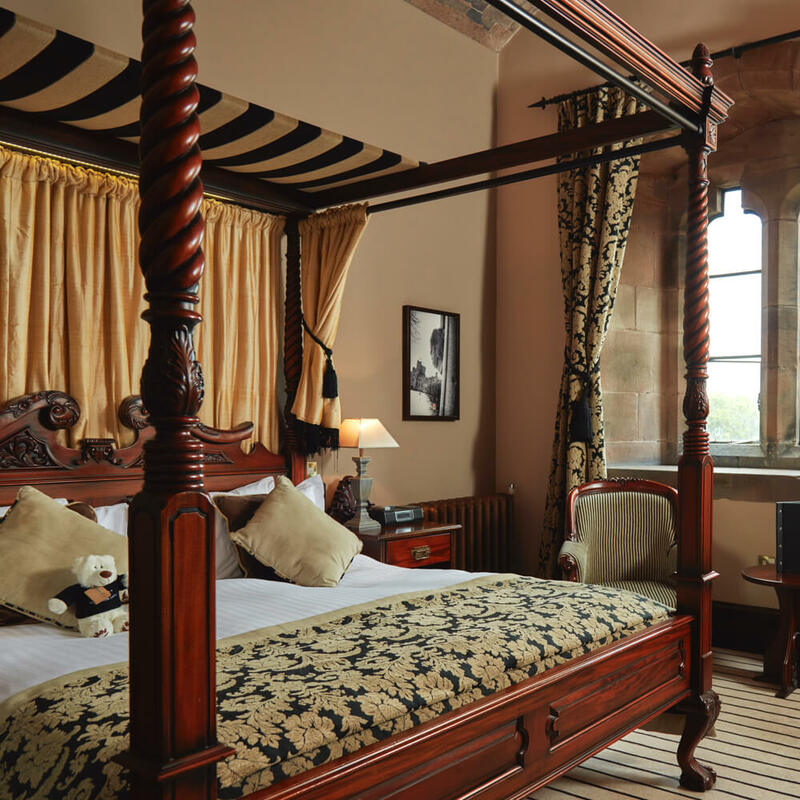 Peckforton Castle offers 48 stunning guestrooms all individually designed and beautifully appointed, blending luxury, comfort and a mix of classic and contemporary décor. 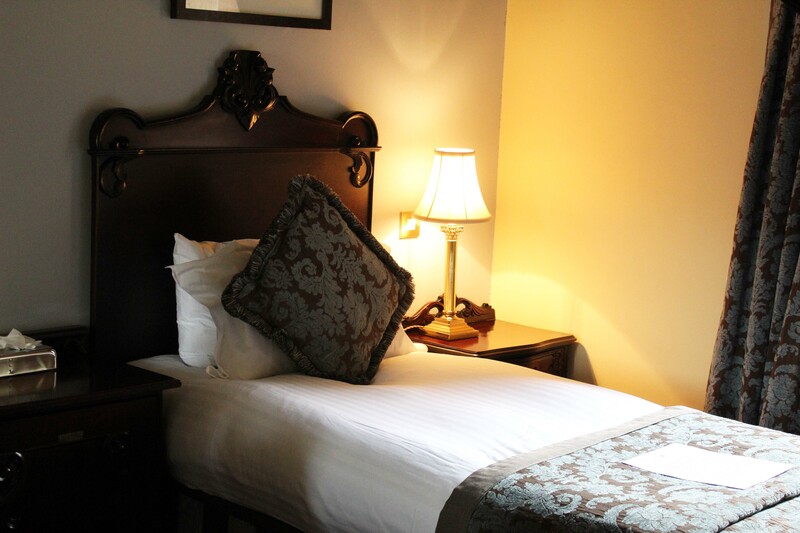 Each room boasts original period features designed with complete luxury in mind. 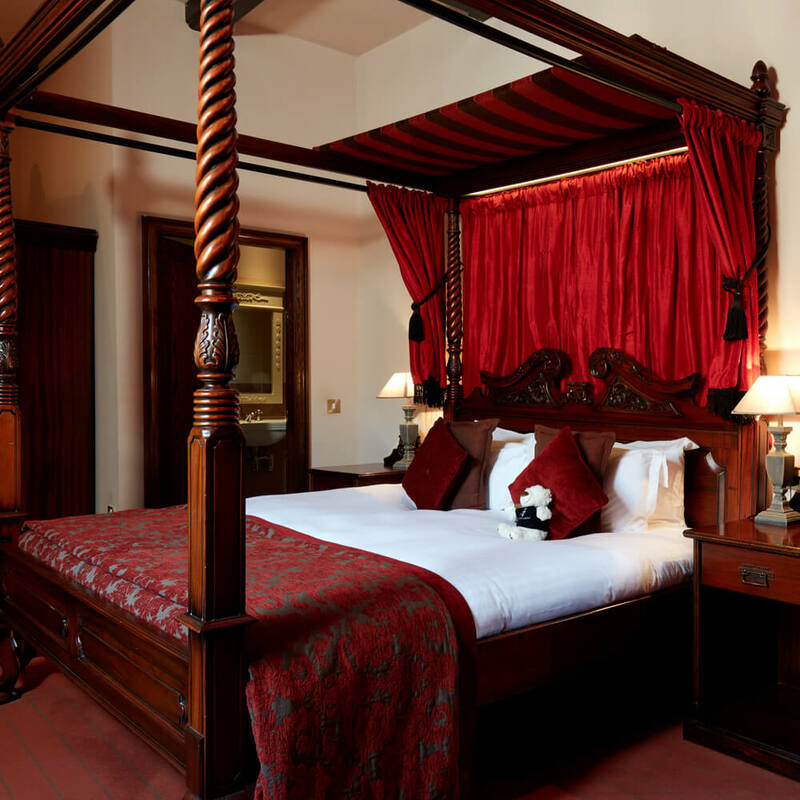 Choose from our opulent Classic, Executive or our fairytale Four-Poster Rooms, perfect for a romantic break. 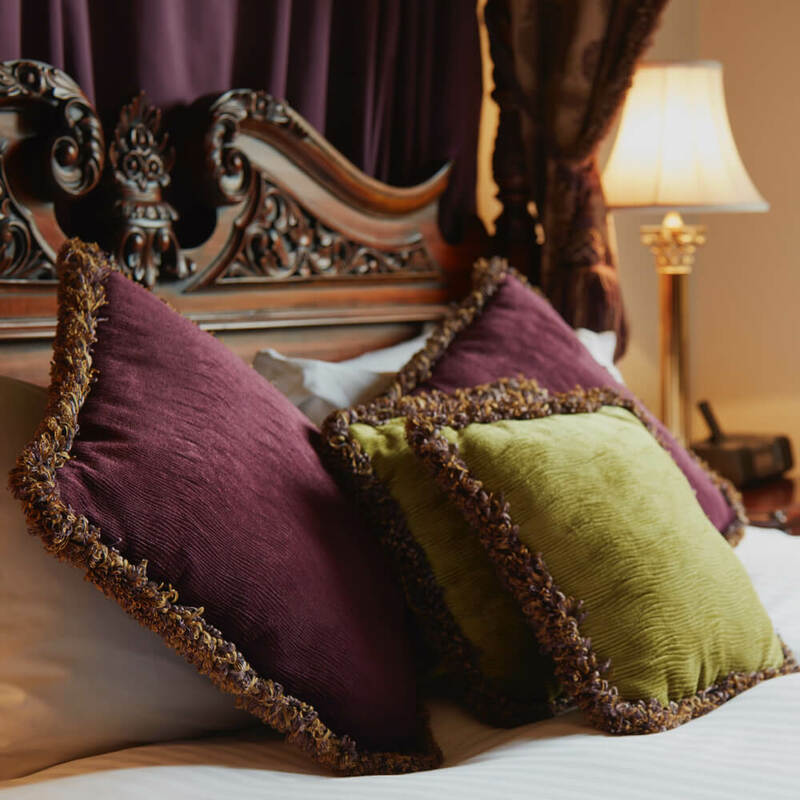 And as for our breathtaking Bridal Suite… Well once you’ve seen it, you won’t want to spend your wedding night anywhere else in the world. 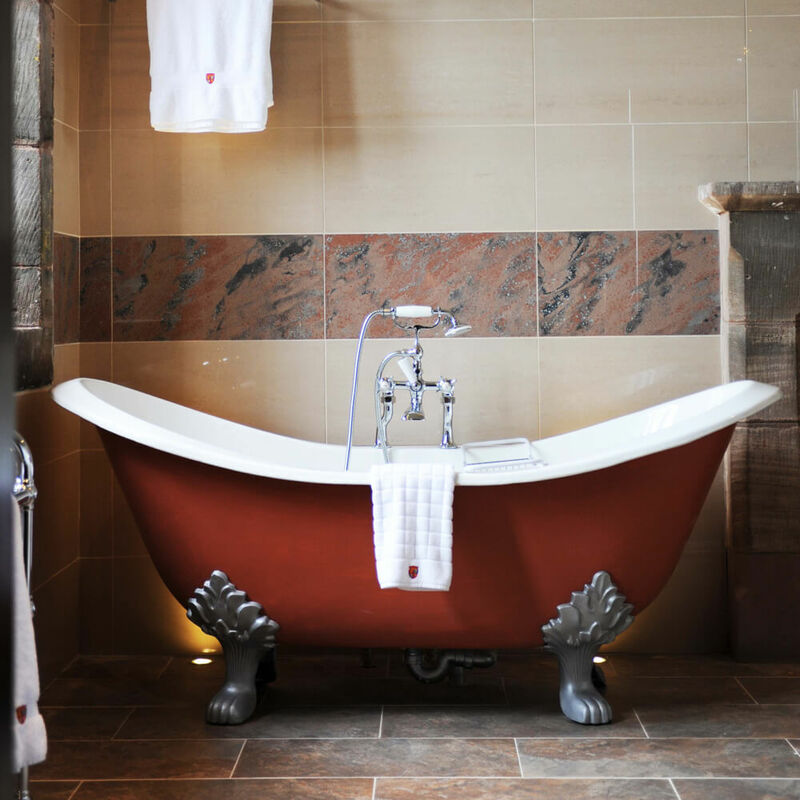 Whether it’s a romantic getaway for two or a weekend of family fun with the children, here at Peckforton Castle we welcome all types of guests for any occasion. 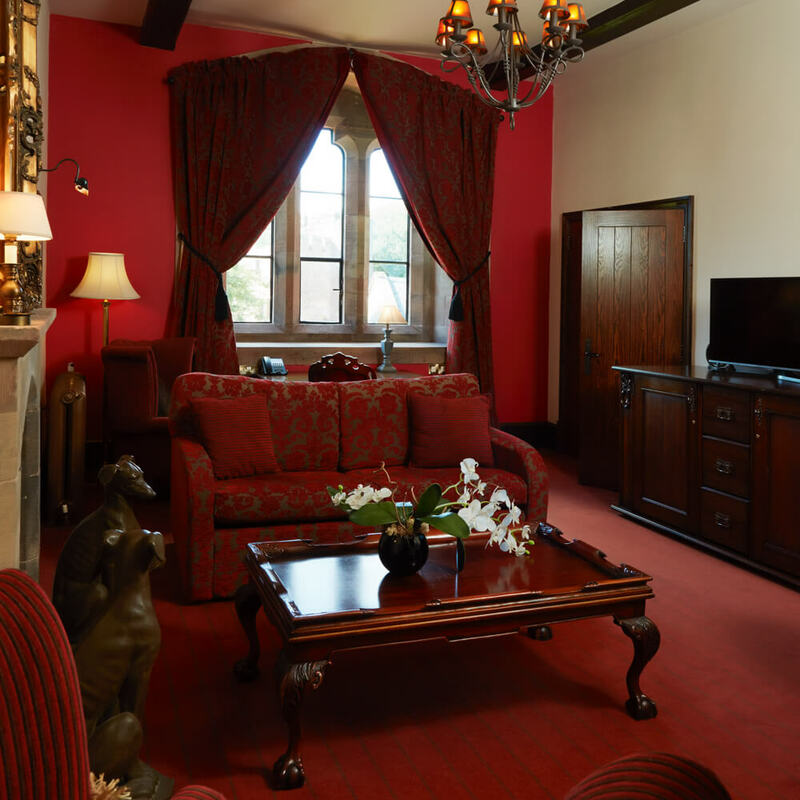 Visit us and let this enchanting setting capture your imagination. 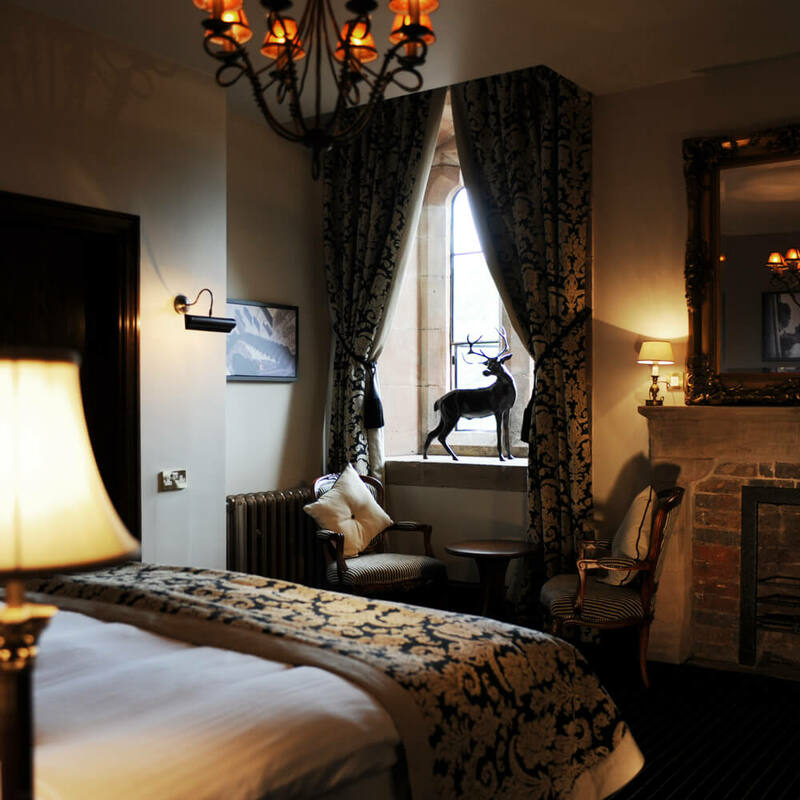 A cosy way to enjoy a night in a Castle hotel, offering a high level of comfort and just right for making yourself at home. 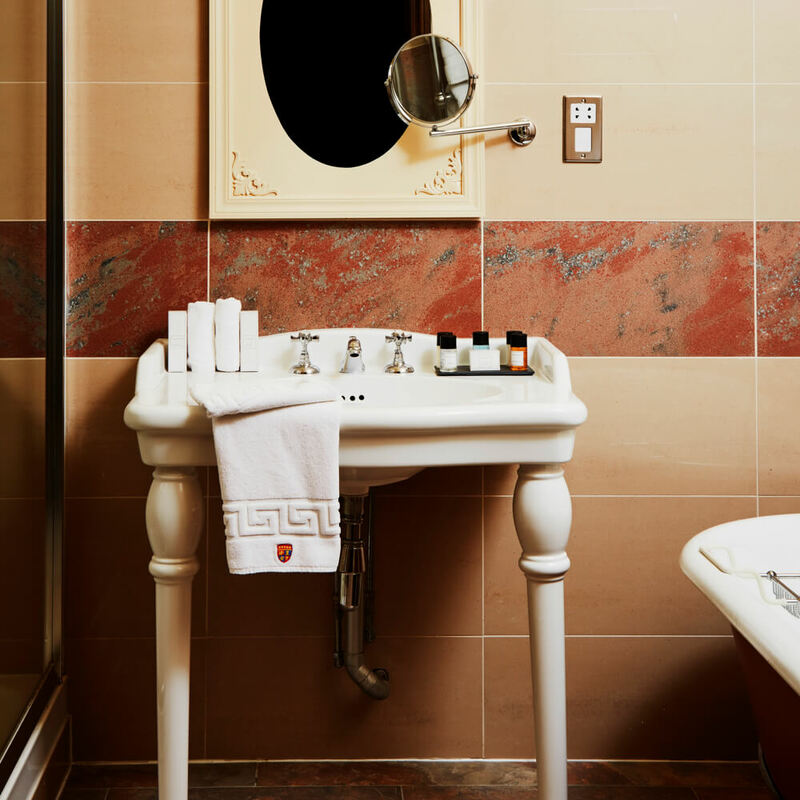 Where classic meets contemporary. 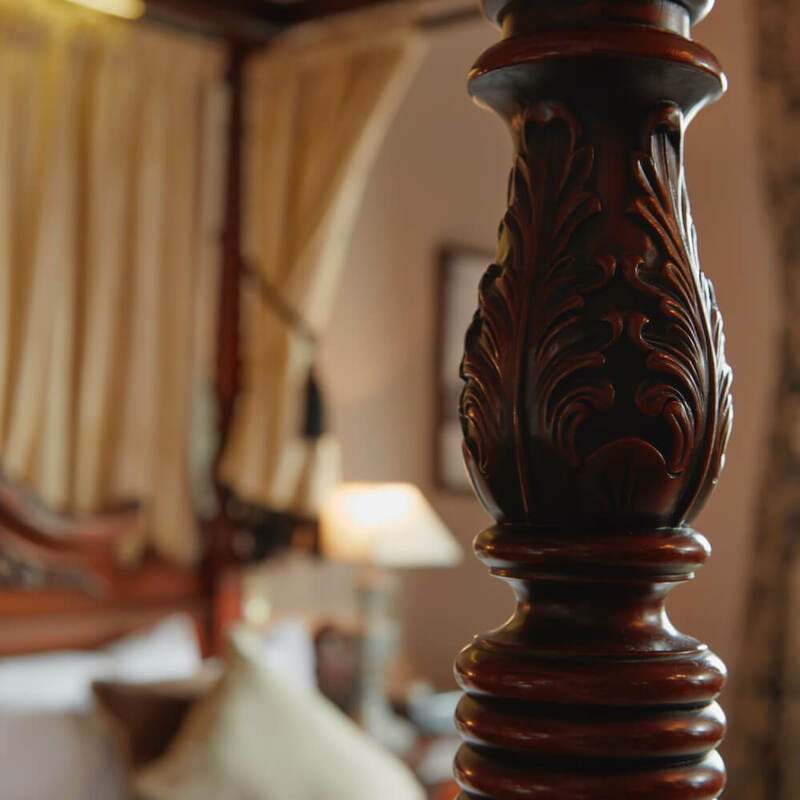 Historical original features from times gone by seamlessly blended with the modern comforts of today. 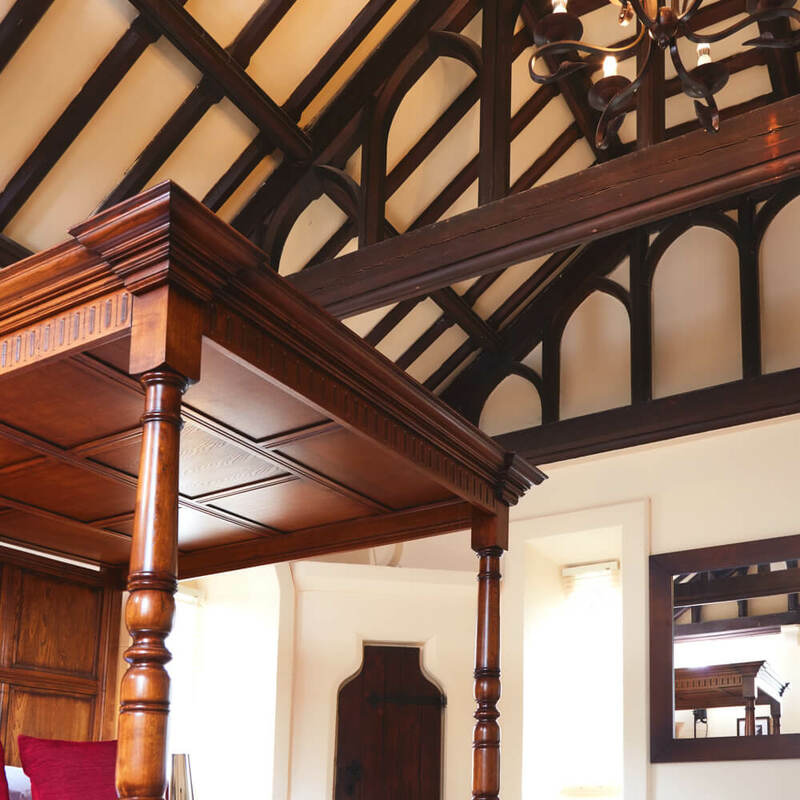 Individual styling and period features create a sense of history and majestic flair. 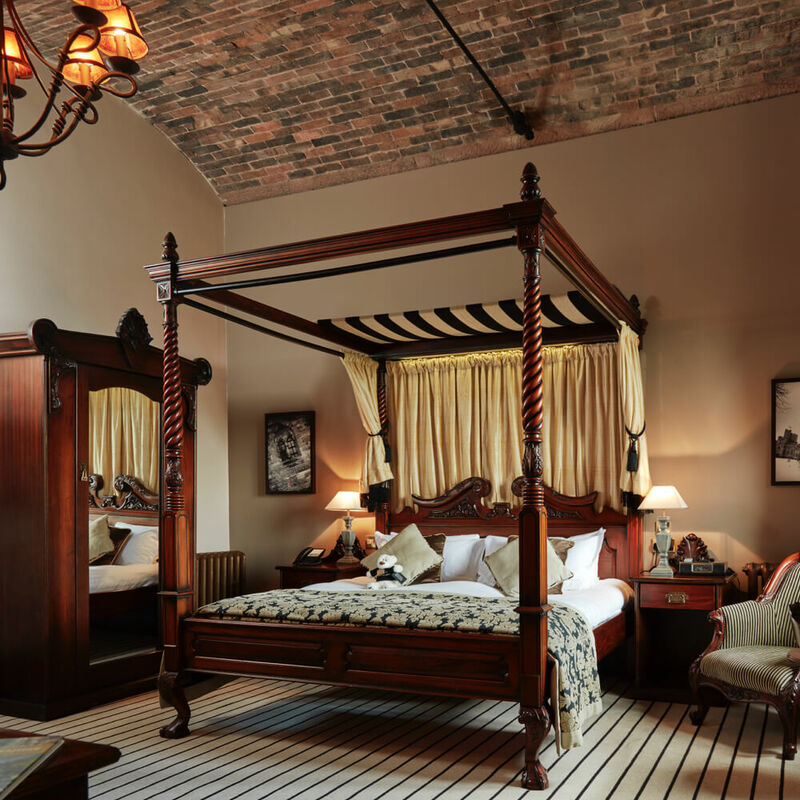 These rooms ooze opulence, while remaining comfortable and inviting. 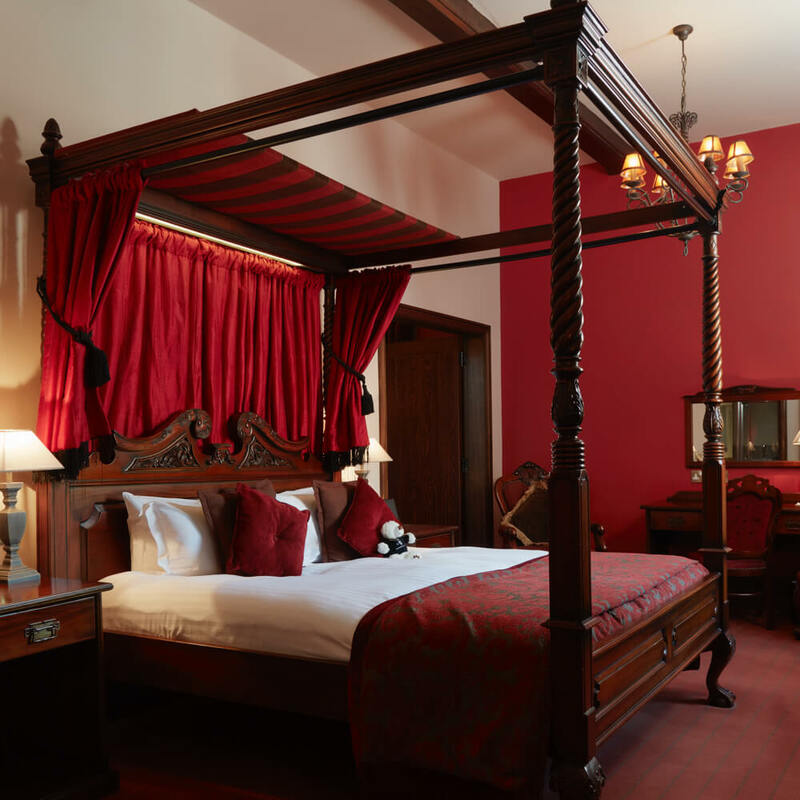 For all you hopeless romantics, our four-poster room is sure to steal your heart. 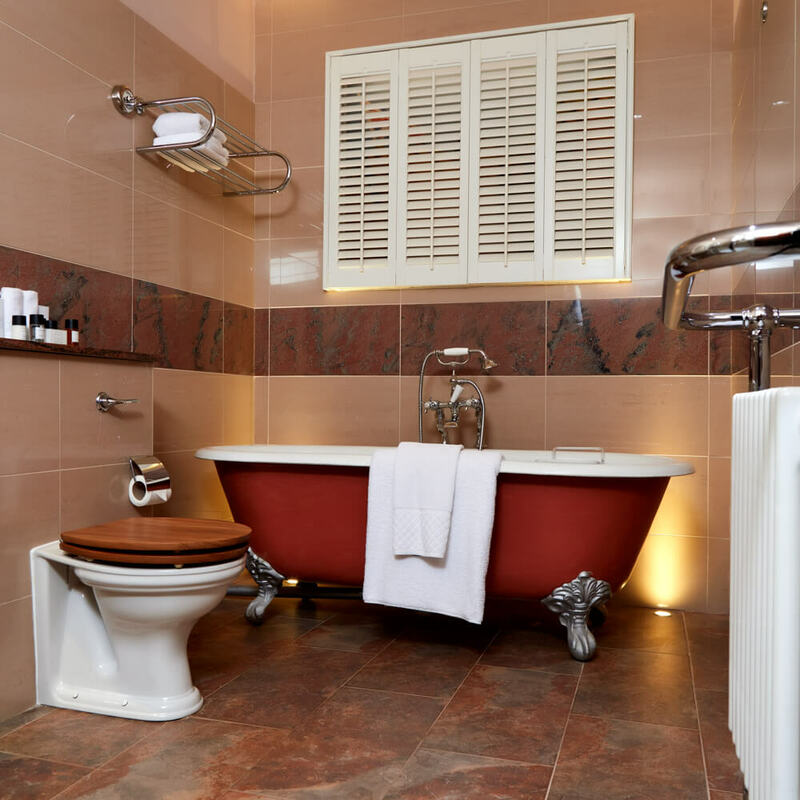 Utterly tempting unadulterated luxury, the perfect escape. 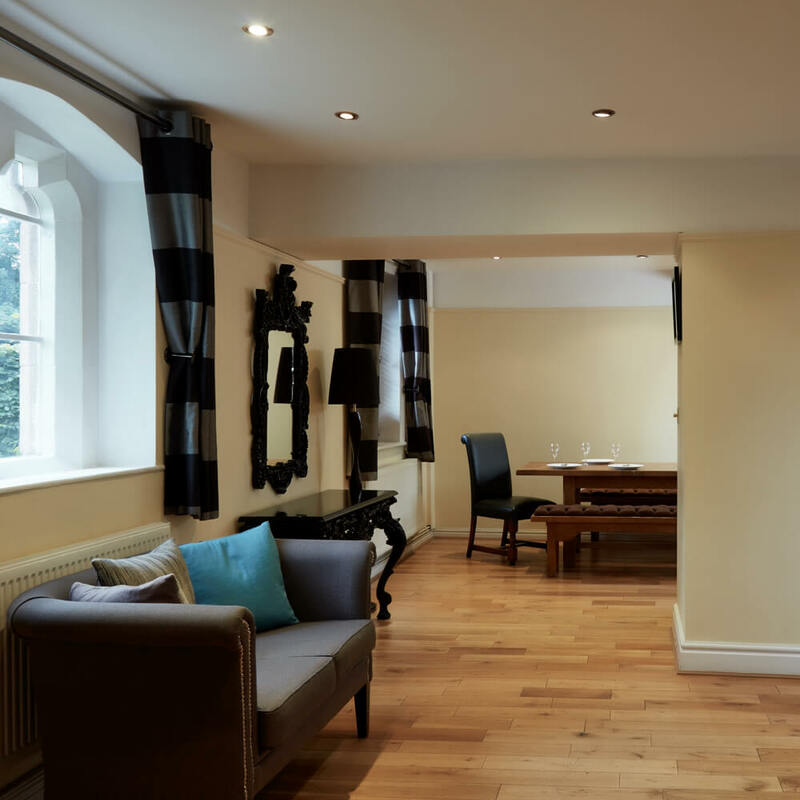 Such a special occasion deserves a distinctive room for when you are finally alone together. 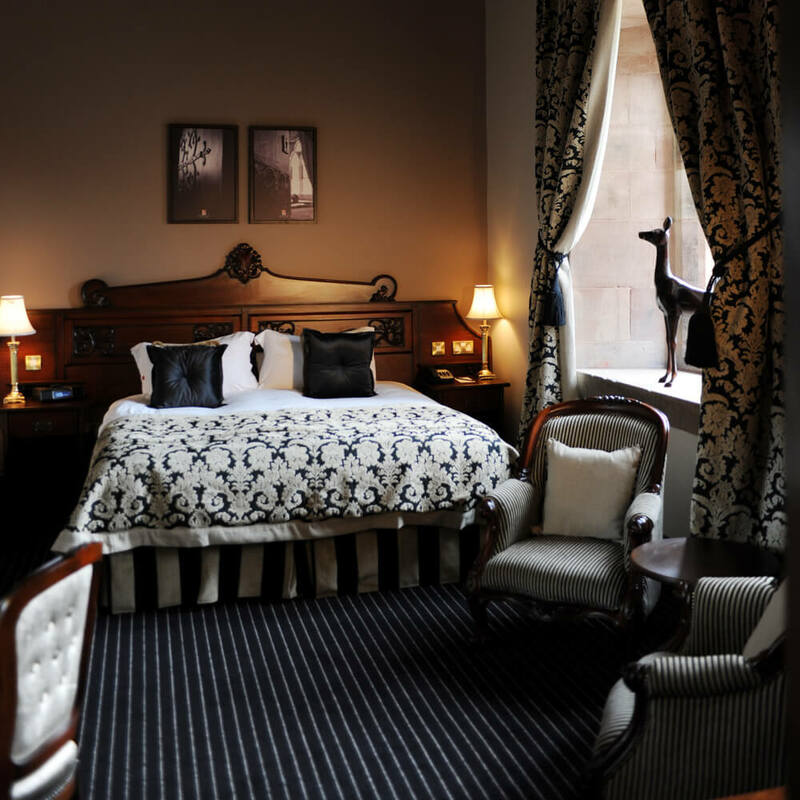 A richly furnished suite for the bride and groom that appreciate excellence and glamour. 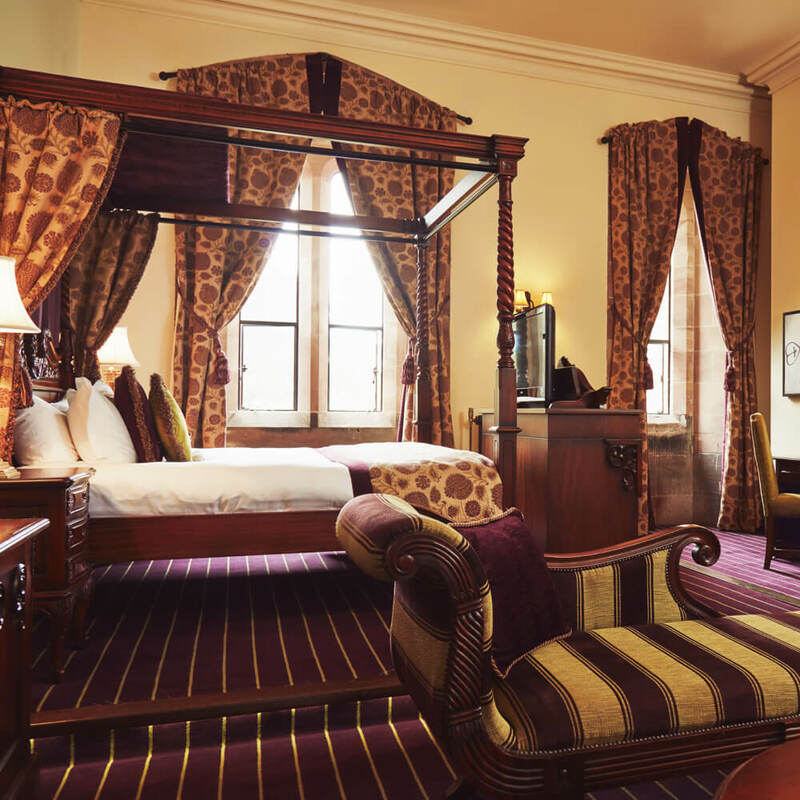 Indulge in true luxury in our exquisite suite, with a separate living area for ultimate relaxation. 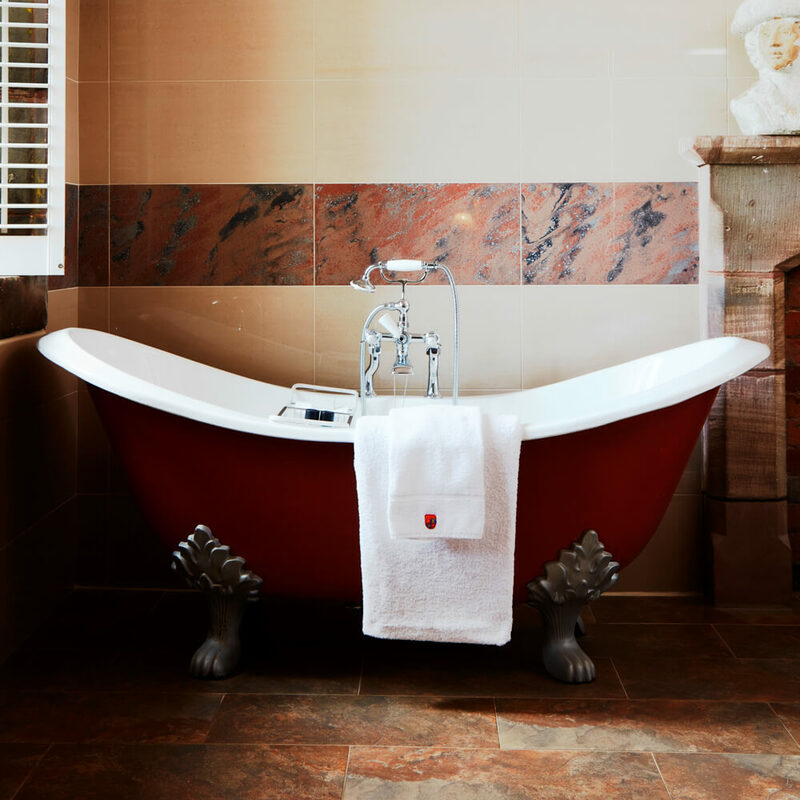 Classic features and modern comforts make for an indulgent space to relax. 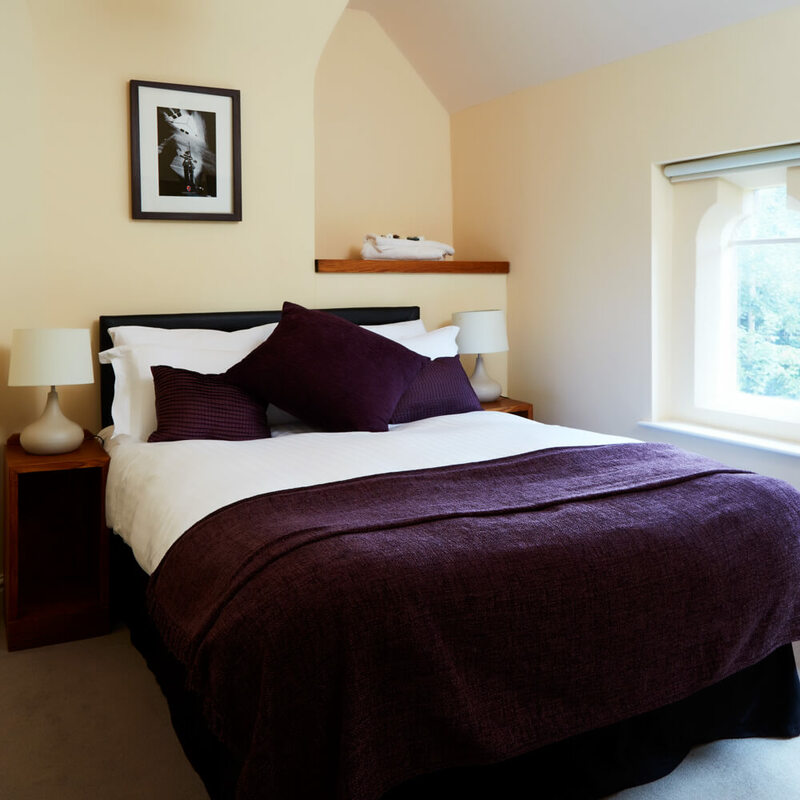 Ideal for hen or stag parties, family trips or a relaxing break. 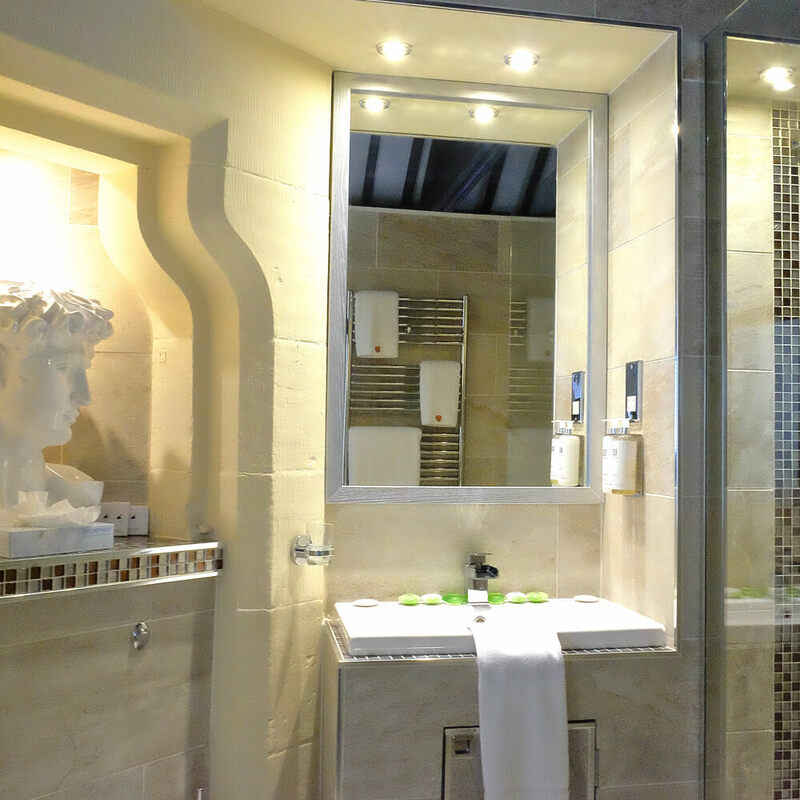 The perfect place to enjoy yourself to the fullest within the privacy of your own space. 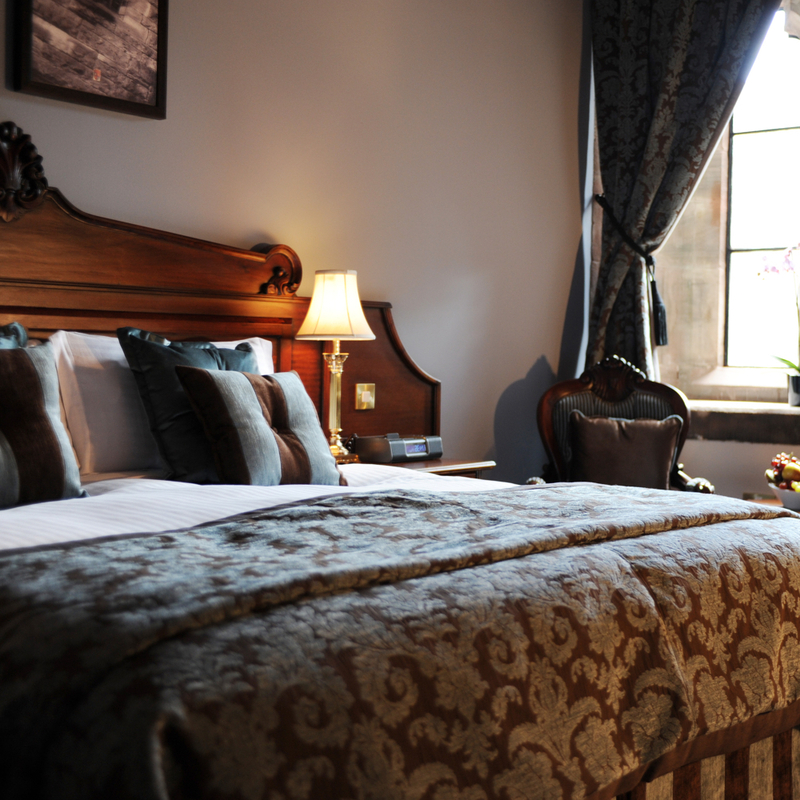 Enjoy a luxurious night’s stay at the magnificent castle. 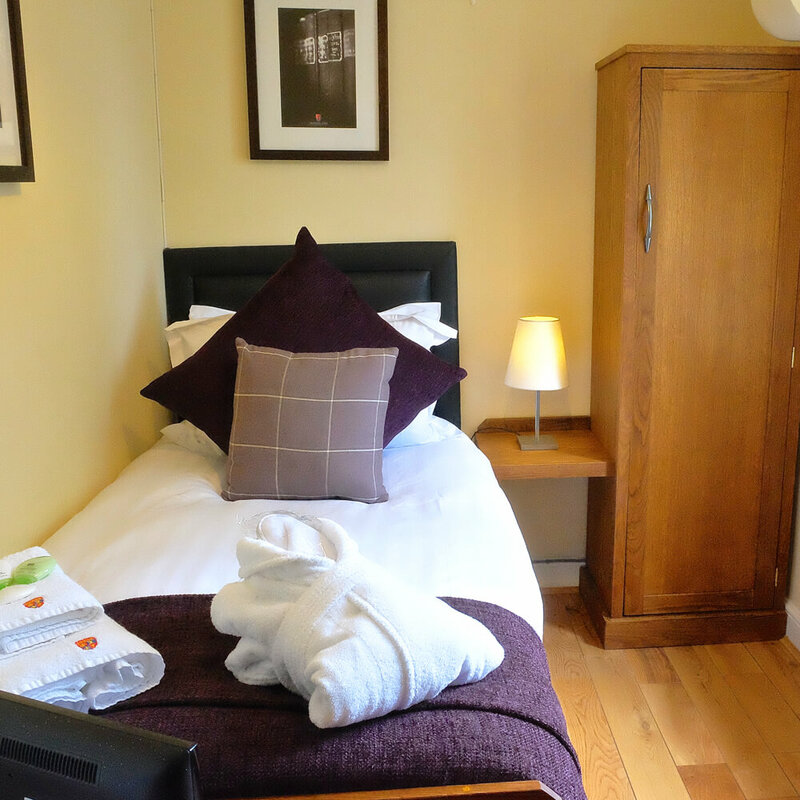 From slippers and celebration cakes to flowers and fruit bowls, our team are on hand to ensure we make your time here that extra bit special. 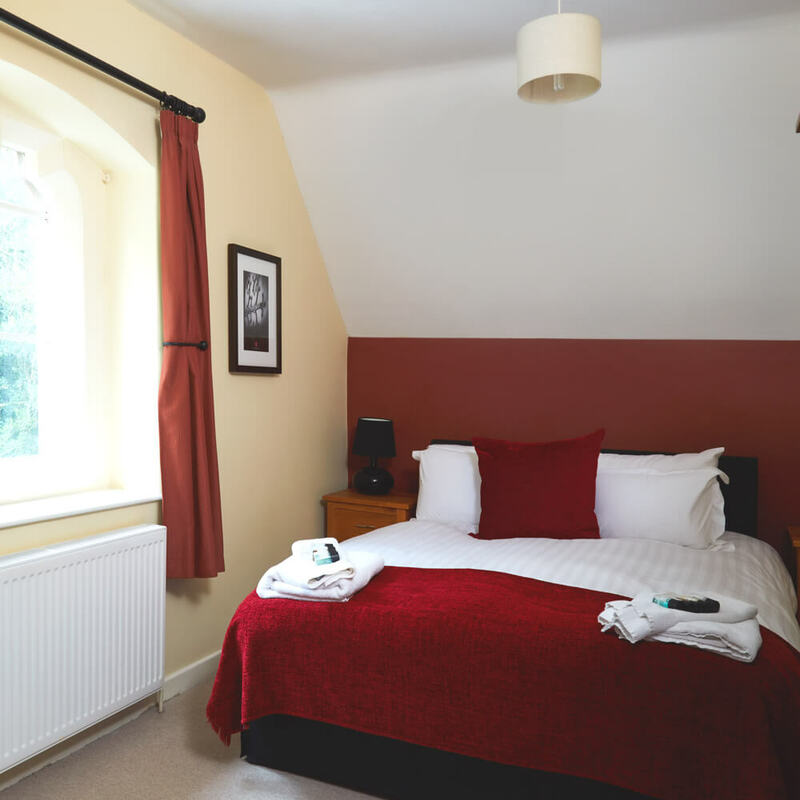 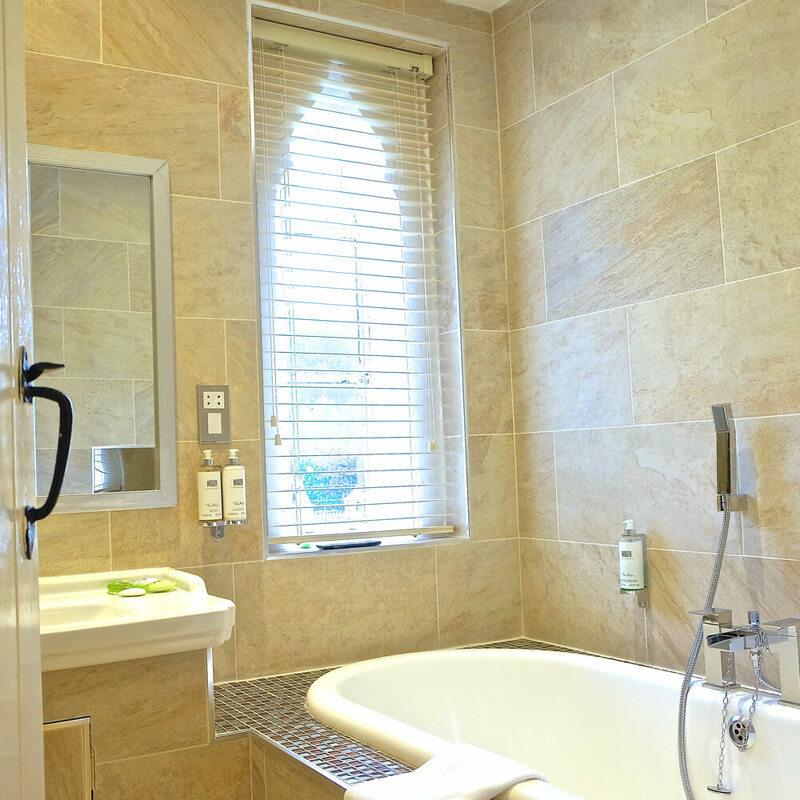 Full en-suite bathroom facilities with underfloor heating in our Executive rooms. 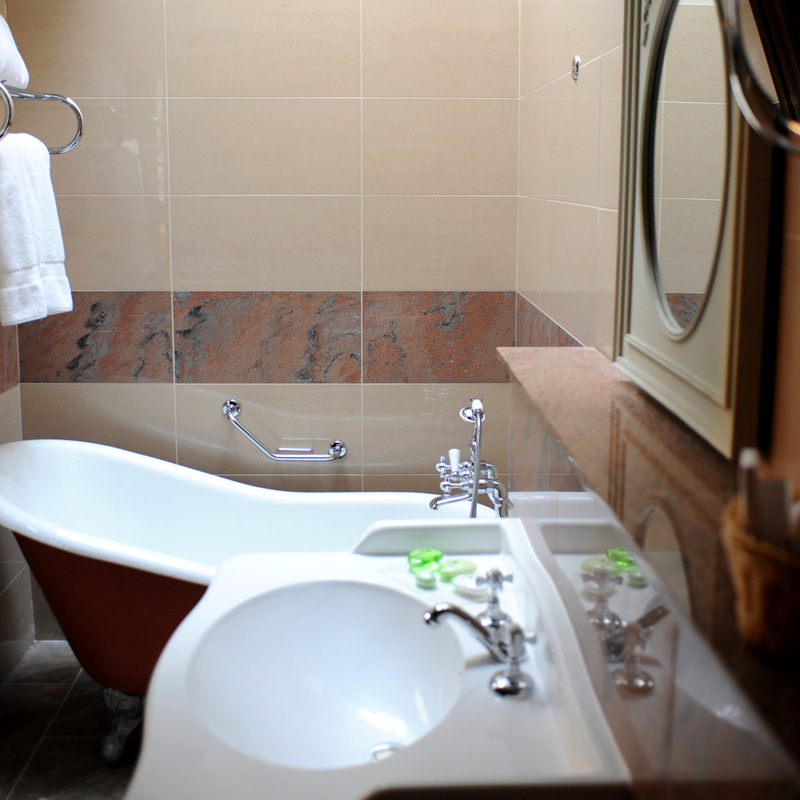 Luxury toiletries trays, robes and slippers in our Executive rooms. 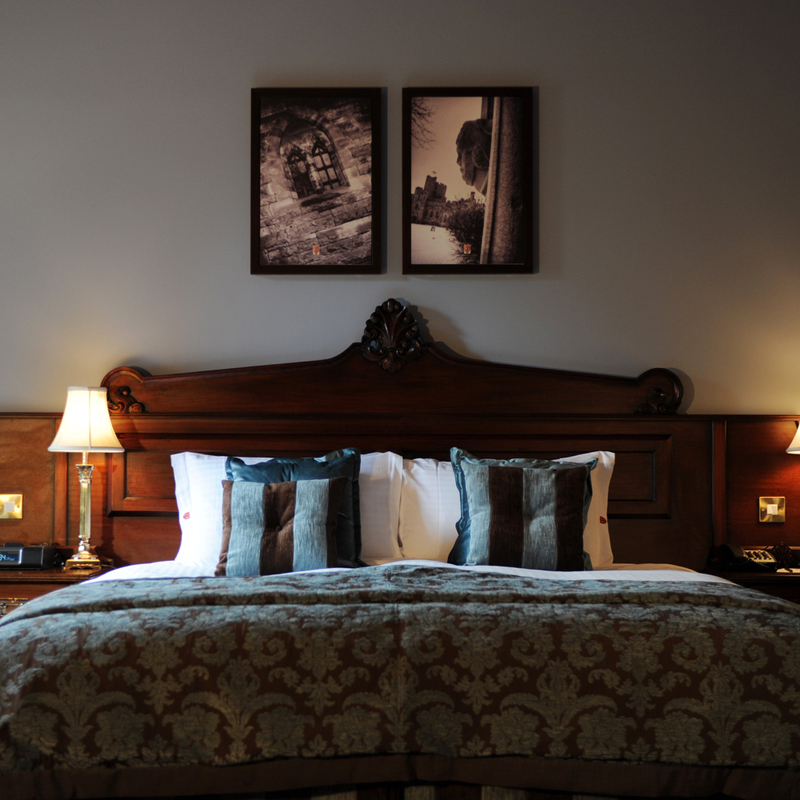 Visiting with little ones? 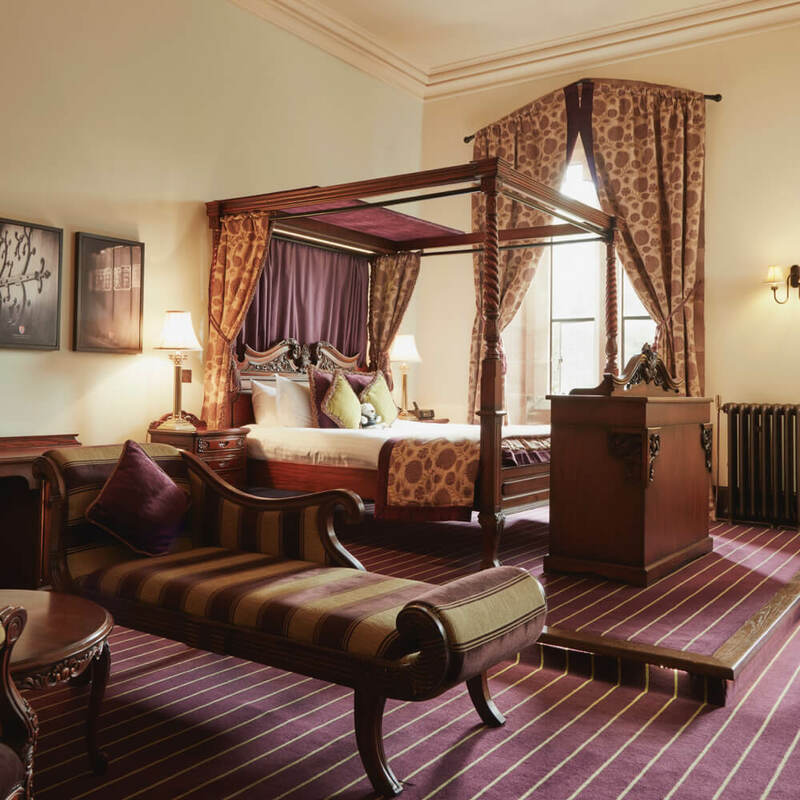 We love welcoming families to the Castle and the hotel is home to a number of rooms suitable for those with smaller guests, plus hundreds of places to play hide and seek. 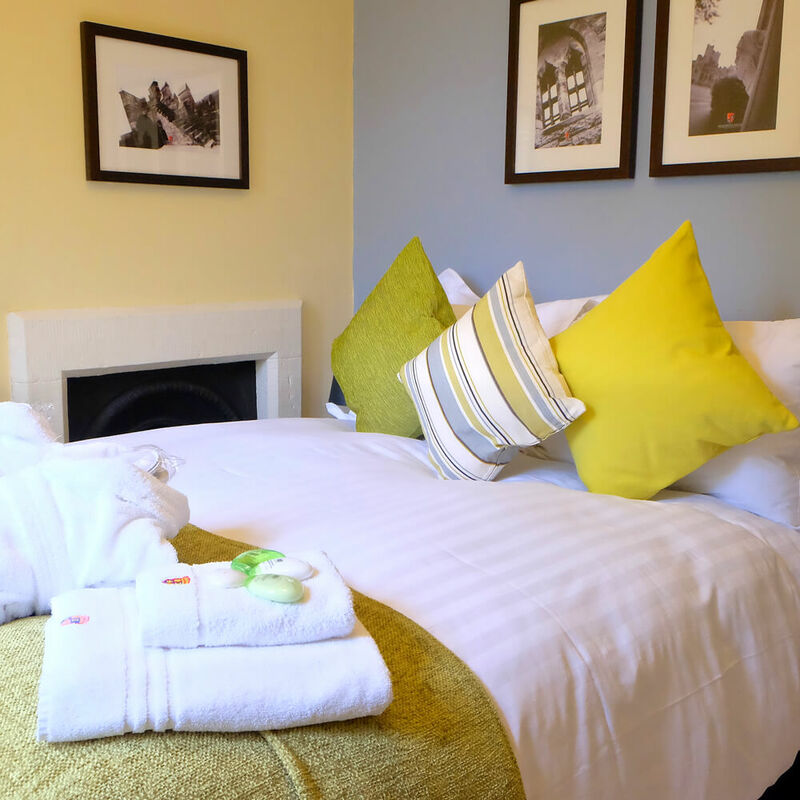 Family games and activities are available, feel free to speak to a member of our team for more information during your stay.